Epic Games are sending out emails letting people know that most of their forums have been taken offline after they were “compromised by a hacker”. We have just discovered that the Epic Games forums located at https://forums.epicgames.com were compromised by a hacker. We are sorry to report that the incident may have resulted in unauthorized access to your username, email address, password, and the date of birth you provided at registration. We have taken https://forums.epicgames.com offline. When the site reopens, your password will be reset. If you use the same password on this site which you use on other sites, we recommend immediately changing your password on those sites as well. 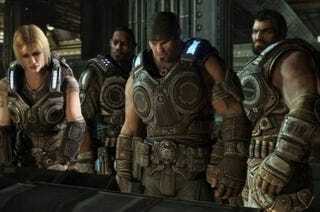 The affected forum site covers UDK, Infinity Blade, Gears of War, Bulletstorm, and prior Unreal Tournament games. However, the separate forum sites covering Unreal Engine 4, Fortnite, and the new Unreal Tournament were unaffected. We apologize for the inconvenience this causes everyone. To further understand what’s happened and prevent it in the future, we’re working with a computer security firm to identify the nature of the compromise. We will report further information on the forums when they reopen. While the investigation into the security compromise is ongoing, we are reaching out to you directly to let you know of the potential unauthorized access to information you provided at registration. It is possible that any information stored or sent by you using the forums may have been accessed. Since this is a public forum, we do not collect or maintain financial information, but we advise you to be alert for suspicious email such as phishing attempts. Thank you for being a part of our community, and for your attention to this issue.